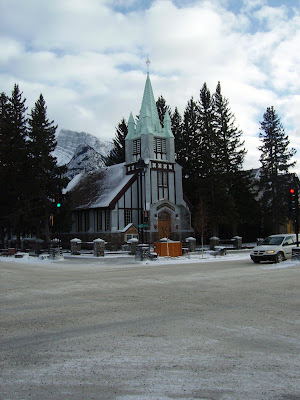 We travelled to Banff (pronounced: Bamph) by coach on Friday morning. 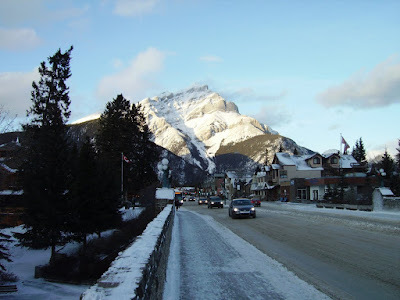 Banff is a famous ski resort in the Rockies and is almost completely surrounded by beautiful mountains. 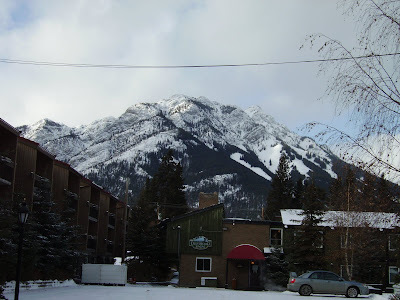 The view below is from one end of Banff looking along the high street. It was taken on the bridge across the river, most of which was frozen. 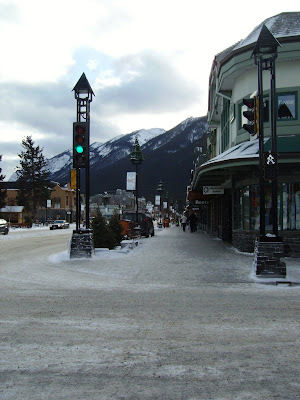 This is another photograph of the main Banff shopping street, this time taken from the other end. 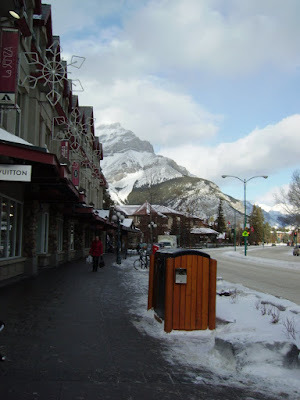 The bin in the foreground below is bear-proof. The person walking next to it is not. This is a church or at least it looks like a church. Needless to say, we didn't cross the road for it - pretty nonetheless. It's good to see you're staying Bear Aware. Have a great trip.